A New England native, Kathy has gained a reputation for hard work and ingenuity. Multiple corporate transfers for the Gagnon family have lent to inside knowledge and a sensitivity to the relocation process. Kathy and her team are ready, willing , and able to assist throughout the entire transaction and are committed to excellence. Kacie Gagnon has been exposed to the real estate industry most of her life because of her immediate family and relatives in the business. As a buyer’s agent with strong communication skills, Kacie brings a strong work ethic and passion to the business. Kathy was fantastic to work with! She always responded quickly to texts, emails, and phone calls with honest advice and knowledge. She was a savvy negotiator, making sure we received top dollar for our property. Her professionalism and attention to detail when staging the home, putting together sales material to distribute to prospective buyers, and through the description of the property were top notch. 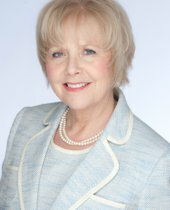 I would wholeheartedly recommend her and her very helpful staff to anyone looking to put their property on the market. Kathy did a great job creating a marketing plan for our house. House was sold quickly and she was great at handling negotiations. I would highly recommend her to list or buy a home. Kathy has helped us to sell two houses now. What I like about her most is her responsiveness. She’s fast to answer and if she is not available, she’s quick to let you know when she can talk. Not only that , she’s friendly and personable and knows a lot about the area, the market, and a lot of people within. Another standout feature of Kathy is her patience with the process. Kathy understood our situation and never tried to push us into a house that didn’t work for us or ask us to lower ours to make a sale. Kathy was able to sell our house above what other agents suggested. I would highly recommend Kathy for your real estate needs. Awesome job from beginning to end. She knows exactly what she is doing, doesn’t waste your time, and promptly gets back to you with every question or request. Extremely professional and gets you the most money for your house with great negotiating skills. We’ve sold three other homes and the other realtors did not come close to her level of expertise. Would highly recommend. Kathy was the second real estate agent with whom we contracted to sell our home. Having one of the largest and most expensive homes in the township, we knew that selling the property was going to entail finding precisely the right buyer at the right time. Kathy and her marketing program were far superior than any we encountered previously. The photography was exceptional, and the subsequent materials and outreach programs resulted in more consistent showings and more qualified buyers. Once an interested buyer was found, Kathy did a terrific job coordinating the negotiations and maintaining a position of strength throughout to gain us the best deal possible. “Professionalism, Experience, and Advice” Kathy did a great job in helping us relocate from California to the area. She understood what we were looking for and very efficiently showed us the options available to us. Her professionalism, experience, and advice resulted in us finding the right house in a great neighorhood; we couldn’t be more satisfied with Kathy’s service and would highly recommend her to others!